Liberian activist Silas Siakor is a tireless crusader against illegal logging and corruption. Through this focus on one small country -- “Silas” warns of the power of politics, features the role of technology in our rapidly-changing world and highlights the impact one person can make to change the system from the ground up. One man's battle gains momentum and emboldens communities to raise their fists and smartphones, seize control of their lands and protect their environment. At times almost funny and at times tough, but feisty throughout, "Silas" depicts a new generation of resistance. Anjali Nayar has been working with the environmental networks featured in this project for over six years. 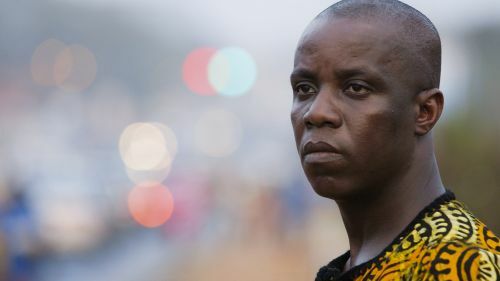 Anjali’s feature directorial debut, Gun Runners (2016), about Kenyan warriors turned marathoners, premiered at Hot Docs and is now available on Netflix. Anjali is also directing Just A Band, a fractionally-fictional documentary about an Afro-electric pop group that wants to go to space, as well as a number of short creative and virtual reality films. Beyond film, Anjali founded TIMBY (This Is My Backyard), a suite of digital tools that helps activists report, verify and tell stories safely. She has a Masters from Columbia’s Graduate School of Journalism, a Masters in Environmental Management from Oxford and a Graduate degree from the International Space University. Hawa Essuman has worked in theatre and narrative storytelling for 15 years, her work ranging from TV commercials, television series' and documentary. Her feature film, Soul Boy, screened at over 40 film festivals worldwide, winning several awards, including the Dioraphte Audience Award at the International Film Festival Rotterdam. Her film premiered at the Tate Modern in 2012 as part of Olafur Eliasson's Little Sun Project.